The only place you can find R.E.M. 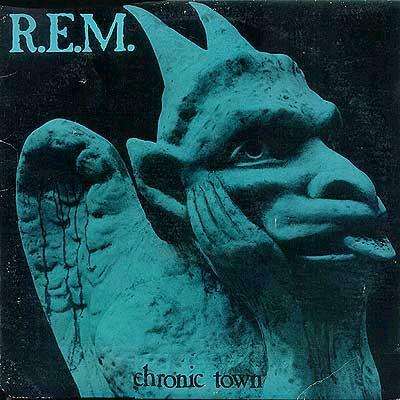 's 1982 EP Chronic Town on CD is tacked on as bonus tracks to the end of the B-side collection Dead Letter Office. Well, this EP is so excellent that I would imagine most people would buy Dead Letter Office just for the bonus tracks. If you liked Murmur, then you can expect much of the same thing in Chronic Town except perhaps it's not quite as perfected. Though you might be surprised at how early these guys had their style established. They have the ever-so-gorgeous jangly guitars, the original songwriting and Michael Stipe's lovable and original mumbling style is all here (though it's surprisingly more energetic than was on Murmur). There's no reason whatsoever to pass this up. People had no idea what to make of it when this EP was released (a strong testament to their originality), and so this EP didn't make a huge splash or anything. But it perked a few people's attention for sure. There are just five songs on here. Just like Murmur, everyone seems to have their own opinion of what the best song here is. I made up my mind that “Gardening At Night” is the gem, but I realize I could work to convince myself that something else is. For some reason, that song piques my interest over the others ... probably because I think that chord progression is so mesmerizing. Stipe's mumbling has never been more barely audible, and it seems pretty mystical to me! (There's either a sitar or a funny sounding guitar in there ... my bet's on the latter, but I do love that sound, whatever it is.) “Wolves, Lower” is also a captivating song and a really nice album opener. These jangly guitars are incredibly captivating, and Stipe gives us a more-than-usual passionate performance. You can hear that they were experimenting a bit for the intro of “Carnival of Sorts (Box Cars),” which sounds like a demented sort of carnival. It doesn't last for long, and it morphs into a more typical song of theirs. (Of course, the typical song of theirs is awesome ... so there you go.) “1,000,000” is a really catchy song, and you can witness Michael Stipe singing with some verve with your very own ears. You might not believe it, but I swear it's true! Oh and that song's riff is cool and danceable as hell. The only song that I don't care the world for is the closing “Stumble.” Though that is a very good song, anyway, and my only real beef with it is that it's too long, repeats too much, and runs out of steam. Despite being of surprisingly similar quality to the songs from Murmur, the one thing that puts these songs below pretty much anything from Murmur is the song production. This has none of Murmur's surface gloss ... and much of that album's atmospheric quality isn't in Chronic Town at all. Other than that, we have a really excellent EP on our hands. R.E.M. 's first album is one that's very good, very consistent and nearly impossible to tell the songs apart the first few listens. But that's not a problem. This is the sort of album that you'll like immersing yourself because the melodies are catchy and the atmosphere is engaging. The more you play it, the more closely you'll want to listen to it. It won't be long before you'll be able to tell the songs apart. This is a very gorgeous album! These guys seem like they were supposed to be categorized as post-punk, but their jangly guitar style borrows more closely from The Byrds. The mood is very reserved and introverted, which was also a new thing back in 1983. The band's characteristic sound is undoubtedly Michael Stipe's sleepy, sandy voice, which somehow sounds rough and refined at the same time. I know that doesn't makes sense, but that's the best I can do to describe it. That voice is one of the great mysteries. If you don't want to analyze it, you can bask in its pure pleasantness and hear it blend perfectly with the jangly instrumentation. Though he's usually mumbling, so you'll probably need a lyrics sheet if you even care about lyrics that much. The craziest thing about this album is that every single listener will have a different idea about what their favorite song is. (And most listeners seem to care enough about it to try to single one out.) The only way two people are going to have the exact same opinion for the exact same reason is if they're in some sort of brainwashing cult! I have a very absolute opinion that my favorite track is “Shaking Through,” but there's a very good chance that the person sitting next to me would want to slap me on the back of the head for thinking that. But I like the song anyway! It's upbeat with incredibly catchy melody. Stipes' gravelly mumble seems like it's at its heights though a little uglier than usual. I have no idea what he's saying, but I don't care! His voice is a cool instrument! The guitars and pianos and drums are a perfect, earthly backdrop to it. They don't try to show off, and that really helps the texture come alive. I will say that “Talk About the Passion” is almost my favorite song. It was a photo finish. It's not quite as upbeat, but the melody is great and just as endearing ... it even has a more distinct chorus, and the guitar riff is quite a bit cooler. They even bring in a cello. It reeks of complete coolness. The last track of the album “West of Fields” is another massive favorite of mine. It's even more upbeat than “Shaking Through” and just about as furious as they were willing to get. But they come up with a few really cool textures in there. The one-phrase chorus is really catchy, and they even manage to work in a gorgeous middle-eight section. “Moral Kiosk” is notable for the more-distinctive-than-usual guitar riffs, and the double drum rasps that pop up. And that makes it especially cool. “Catapult” is notable for its one-word chorus that has the charming tendency to stick around in my mind looooooooooong after it's through playing. “Sitting Still” features a more-passionate-than-usual vocal performance from Stipe. “9-9” loses some points for its somewhat cluttered instrumentation, but gains it right back for sounding pretty mean at times without sacrificing the album's overall vibe. To further illustrate my theory about no two people being able to choose the same favorite songs, there are two songs in particular that I don't care a whole lot for, but other record reviewers have singled out as highlights. “Walk” is a good song, but it seems a little too fruity for me. (I know... that's coming from a sometimes passionate Monkees fan, but ........ shuddup.) I'm also not a massive fan of the atmospheric piano ballad “Perfect Circle” because it seems a little dull to me. But it really doesn't matter, because all these songs are great. If you haven't heard this album yet, I urge you to get it. You'll listen to it, and I'm positive you'll like it. And then you can play it to some of your friends, because they'll like it, and then they'll like you. This is a scientific fact. A case of sophomore-itis could explain this weaker follow-up to that smash-hit (with the critics) classic Murmur, but I get the feeling R.E.M. simply didn't want to burden themselves with trying to make another near-perfect album. Those things have the annoying tendency to only come once in a lifetime. Instead, they decided to shoot for creating a *good* album, and they did just that. Plus, it rocks a bit more. “Harborcoat” gets things started on an upbeat note. It uses a number good guitar riffs, and the melody is nice and catchy. Immediately, you can notice they weren't going to deliver the same standard they allotted to Murmur --- Michael Stipe's vocals aren't nearly as haunting and compelling, and they do this bizarre vocal layering thing that does nothing but clutter it up. While it might not be a tremendously inspired song, it's fun to listen to. There's nothing more than that. That said, the following three tracks are excellent, and just as good as anything they've ever done. “So. Central Rain” is easily the best song of the album (and there's a fairly common consensus to that). The melody is one that isn't easily forgettable, especially that chorus with those resonant cries of “I'm sorry!” The overall pace is kept bouncy with excellent, zippy instrumentation --- a pure delight. And Stipe's haunting vocal style has never been so affecting. “7 Chinese Brothers” is another good 'un. It might seem a little minimal, but that guitar riff they use is mesmerizing. I suppose I wouldn't automatically assume that R.E.M. would know much about creating guitar riffs, but there's proof that they could do it exceptionally well. Mind you, it's not like a Rolling Stones riff; it's very subdued and mesmerizing. It's ultra-smart and fits that “college-rock” label perfectly. “Pretty Persuasion” is also fantastic. The atmosphere of that one greatly recalls Murmur although it might he a tad on the raucous side. Well, the energy combined with the catchy melody makes it possibly the funnest song of the whole disc. I used to not like “Camera” too much thanks to a long running length and a desperately dull verses section. But it blossoms in such a *big* way for the chorus that I can't ignore it. “(Don't Go Back to) Rockville” has a little bit of a country-western flavor, and it is also a rather endearing tune. It has one of those melodies that has plenty of hooks, and such a great flow that it's impossible to hate it. Though I still think the tune could have been a tad bolder. I like “Time After Time (Annelise),” partly because they come up with an interesting, darker riff that's a little unusual for them. But even with that riff, the song manages to come off as a little flat, and it doesn't seem like it should have. “Letter Never Sent” has a more conventional riff, but that one really came off as flat and lifeless. Well, it's nothing that inspires me, anyway. The great moments that I discussed already is more than enough reasoning to give Reckoning a good listen, but coming off the heels of such a great album as Murmur, it can't help but pale in comparison. In their defense, I'm pretty sure they were aware of that fact ... and they're still penning plenty of excellent songs. One thing Reckoning has over the predecessor is that it doesn't have such a diversity problem... though I wouldn't exactly call it a *diverse* album. But it's a good album. If you liked Murmur even vaguely, then there's a good chance that you'll like this one, too. It has way too many great songs to ignore. Get it! I have a distaste for this album, and the moodiness of it is a big reason why. But it's an R.E.M. album, and all that means is I don't like it quite as much as I like their other albums. You can't listen to Fables of Reconstruction in the same way that you listened to their previous albums. Murmur was something of a pleasant blur, and at least Reckoning had a bunch of good songs on it. But they were starting to get a little tormented here. The emotions are moodier, and songwriting is less unconventional. Perhaps the most damaging change from the last two albums is that they weren't giving much regard to creating good vocal hooks. Most of their previous songs had at least one hook in it that made it memorable (usually in the form of a simple, catchy chorus). There's little of that here. After basking in their previous two albums, you might be surprised about these sorts of alien turns-of-events. Michael Stipe's vocals even sound a little different than they did in other albums. Sure, he's still doing that sandy mumbling, but they are mixed so muddled within that mix that you'll have to try harder than ever to hear what he's saying. (But, if you tried doing that on Murmur, you'll know that it's virtually impossible). But on the other hand, I wouldn't have wanted R.E.M. to stay stagnant, producing Murmur-clones for the rest of their career. Fables of the Reconstruction marks quite a shift in their songwriting approach. For a start, it's more musically diverse and ambitious. For example,“Feeling Gravity's Pull” is a terribly mad psychedelic piece, “Can't Get There From Here” is teriffically energetic and features a prominent horn section, “Wendell McGee” is a laid-back folky tune with a banjo. Let's talk more about “Feeling Gravity's Pull,” because it's my favorite song here. While it is completely mad, it has an undeniably cool riff and just about the creepiest bass-line they've ever come up with. A string section is used to keep the mood dark and creepy that helps create quite a compelling atmosphere. “Maps and Legends” is also a good song, although it's much more conventional. The jangly guitars are very compelling, and so is the melody, which has an old English folk quality to it. It reminds me of something written for someone going out to sea. Stipe does sound a bit like an old weary sea captain, come to think of it. “Driver 8” is an upbeat rocker with another good guitar riff. While that's a fun song, that's a moment when they could have used a chorus of sorts. Fun to listen to, but it lacks that extra memorable kick. “Life and How to Live It” is good though fairly bland. Some might have thought Murmur was bland, but maybe they wouldn't feel like that again. It's a fine song to put on in the background, but it doesn't offer me much reward for paying close attention. “Green Grow Rushes” has a pretty cool chord progression, and one of the better vocal melodies on the album... But that mid-tempo tempo can get rather tiresome, sort of like drinking warm, flat soda. The only song I had a particular problem with was “Auctioneer (Another Engine).” They completely overdo it with that drum rhythm... Michel Stipe's mumbling finally starts to seem a little bit obnoxious... And it has a really ugly, dreary mood that just rubs me the wrong way. All in all, Fables of the Reconstruction doesn't have any terrible songs on it, and there's enough good stuff to keep this a must-have for fans of this group. After all, this is an album with a lot of jangly guitars drowning out Stipe's mumbling. If it has that, then it can't be bad, right? I do like that they were trying new things, but that doesn't completely excuse the sometimes flat songwriting and general disregard for the melodies. That's just my personal taste, of course. Opening the album, “Begin the Begin” is a brilliant song with an incredibly mainstream sound. The drums are loud, the guitars are energetic and Stipe's voice is as clear as a bell. (You'll still have to train your ears to understand the lyrics, but it's actually possible without looking at the lyrics sheet.) This is almost like stadium rock, except the guitars are way too intricately textured, there are no synthesizers and it's too fast-paced. But this thing is as radio-friendly as any stadium-rock song I can think of. Two very similar songs,“Hyena” and “I Believe,” are amazingly just about as good. This goes to show that there is an amazing amount of quality in this album! “Fall on Me” is either the most beautiful song R.E.M. has ever done, or it's tied with something else. They don't do anything particularly different with that one except the jangling guitars are crystal clear and perfect, the harmonies are incredibly mesmerizing and Michael Stipe's vocals that are mixed perfectly. The chorus has that amazing extra benefit of having back-up singers that integrate perfectly with Stipe's soulful bellowing there. “The Flowers Of” is probably the moodiest song of the album though that one even reaches some incredible beauty. Stipe's singing in his old sleepy voice and almost into the background ... it's a little more like he was doing things in Fables of the Reconstruction. But there is something very compelling about the song. The textures they create are lovely, and my heart pounds a bit as they pick-up to the chorus-of-sorts. The oddest song of the album is easily that two-minute Latin ditty called “Underneath the Bunker.” They create a funny groove while Stipe comes in mumbling very quietly in a megaphone. It's a very comedic number, I guess, to show us that they didn't want to be thought-of as pompous snobs. It's non-serious, but I really enjoy listening to it. It makes me laugh! Another unusual bit in here is a cover of an obscure sunshine pop song called “I Am Superman.” R.E.M. gives it fairly straightforward treatment, trying their best to emulate the vocal styling of '60s sunshine pop bands. Stipe doesn't take the lead vocals, but the whole band does some Beatles-esque harmonizing. Oh yes... that's the good old '60s. This is really a fantastic album, and there isn't a weak song at all. Scan the track reviews and you'll see that I couldn't find a reason to give anything less than an A-. The production is superb, the songs are all catchy, there's some diversity and Stipe's singing has never sounded better. 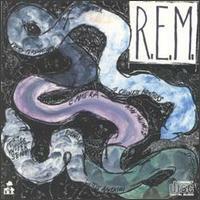 That's why this is my favorite R.E.M. album of all time. That said, I'd say Murmur was a more impressive album just because those textures were so enchanting, and that was really a one-of-a-kind sort of album. Lifes Rich Pageant is certainly less unique... but it's more fun! Success! For the first time, ever, the mainstream American audience was paying attention to R.E.M.! Things were on the fast track for them. They had a Top 20 hit, “The One I Love,” although this album is probably more famous for one of their signature tunes: “It's the End of the World (And I Feel Fine).” Though, despite this success, this was a marked disappointment after Lifes Rich Pageant. The only reason for that was the songwriting, which allotted much fewer treasures. But at least R.E.M. continued where the previous album left off, and they created a rather diverse set of tunes. “Finest Worksong” is where it all begins. It's surprising how effective that song is considering that it basically has no chord changes until the chorus, which just has two chord changes! I can't say I endorse such an anti-harmonic practice from rock bands, but it's pretty amazing to hear a band to pull that off so well. The instrumental textures are quite amazing, and you can hear them benefit from their new producer Scott Lit who apparently knew a thing or two. Rest assured, “Welcome to the Occupation” has plenty of interesting chord changes, and they sound like they were borrowed from Old English folk tunes! That combined with Michael Stipe's signature mumbly voice makes it another good R.E.M. tune. “The One I Love” features an ultra-clean guitar riff, but it also reminds me of an old folk tune, this time Stipe takes the role of a melancholy, world-weary sailor singing about the girl he left at land. There's also a hint of the olden times in “It's the End of the World As We Know It (And I Feel Fine),” this time taking a bit of a novelty country-western flavor. Of course, that's the song where Stipe takes a decidedly campy vocal performance, rattling off a list of lyrics as fast as he can. Yup, everybody knows this song. Its fast-paced energy is overwhelming, and is a big help in making it the memorable experience that it is. I was also a little surprised to hear “Exhuming McCarthy,” which is by far the poppiest song they had ever done. Of course, it still has R.E.M. 's distinctive signature all around it, so it's not Madonna or anything, but it does seem like they had a wider audience in mind for it. It's got those ultra-clean guitar, a really upbeat rhythm, and synthesizer hits (for pete's sake). Naturally, it also has a catchy melody, which is why I like it so much! “Oddfellows Local 151” also could have been construed as a hit, possibly, considering that it probably has the coolest rhythm section in any R.E.M. song so far. That song has a really creepy atmosphere, too; it's only real flaw was that it loses its edge after two minutes. 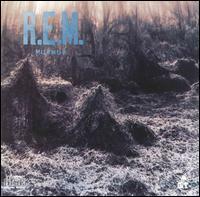 There's a really good cover, too, of Wire's “Strange.” The melody is superb and it's very appropriate to R.E.M. 's style... but the heavy guitars they use is a step in a different direction. “King of Birds” is kind of a cool tune. It has a militaristic drumming section, and they use a dulcimer to give it a really fine texture ... a sort of texture that hasn't been heard like that in any R.E.M. album this far! It's a really nice song to bask in, but it doesn't make enough of an impression for me to find it particularly memorable. “Lightinin' Hopkins” is kind of a dumb song, although I'd be lying if I said I didn't enjoy it a little bit. Stipe's singing voice seemed to be an extension of “It's the End of the World,” but he comes off sounding curious and demented and I can't be sure how much of that was intentional. “Fireplace” is a really dreary song thanks in part to a particularly odd chord progression. I can't say it's a terribly good song ... until about the middle of it where there's a wild saxophone playing, which is reminiscent of the sort of saxophone solo we'd hear on classic Roxy Music albums. The saxophone is another thing that hasn't been heard in an R.E.M. album; even hearing an instrument going off like that is unique for this album. The only song that disappointed me, in a very minor respect, was “Disturbance at Heron House.” Of course, it's a fine song to hear as most of R.E.M. 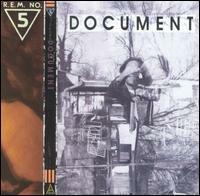 's songs are, but it's the only song on Document that strikes me as bland and fairly non-distinctive. But it's strong enough to warrant a B-, so it's not exactly a calamity. As you probably noticed, I mentioned plenty of times in this review that certain songs did things not previously done in the R.E.M. discography. Expanding their sound like that was an incredibly good idea, and I love that about Document. It's just that the actual songwriting doesn't compel me nearly as much as Lifes Rich Pageant, their ultimate gem. Before listening to this collection of R.E.M. B-sides, you might be hoping for something similar to the Beatles' collections of B-sides like Magical Mystery Tour and the Past Masters series, each of which were strong albums within themselves. Unfortunately, you won't find such a thing with R.E.M. For the most part, they took B-sides as an opportunity to just mess around and publish alternate versions of songs that already appeared on earlier albums. 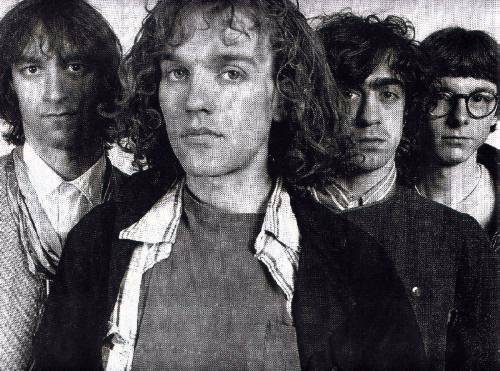 Not that there's anything wrong with screwing around... a band as structured and disciplined as R.E.M. probably deserves to do that! But that doesn't exactly make Dead Letter Office especially worth hearing except for the die-hard fans. ...Now, what is worth hearing on this album appears as bonus tracks on the CD release. It's the entire 1982 EP they released previously to Murmur. This was such an interesting release that I reviewed the two separately. The first song is a cover from Pylon, a really obscure band though with it's own respectable reputation. I heard a few songs of theirs but not enough to make a real judgment about them! ... I would like to delve into them more fully at some point, though. Anyway, R.E.M. 's take on the song is utterly delightful. It sounds a lot like R.E.M. recorded it, actually, as it is done in their exact, trademarked style. The jangly guitars are there, and Stipe mumbles through it beautifully (though for some reason he sounds like he's standing two-feet away from the microphone). And the song is extremely catchy, so that makes it a complete success in its own right. “Burning Down” and “Ages of You” are both the same song... They're spread apart in the album just to mess with us! Anyway, they're both equally have nice guitar jangles and a very nice mood. Though you'll notice that it came out of the Fables of the Reconstruction-era, which might explain why it doesn't have a chorus and it's not particularly catchy. Ah well. “Voice of Harold” is probably the best song in here even though we already know the song as “7 Chinese Bros.” The songs have the exact same backing music. But considering how mesmerizing it was, I welcome every opportunity I have to hear it some more. “Windout” is a really fast-paced and entertaining track with a good beat to dance to. Surprisingly, it comes from the Bachelor Party soundtrack of all places. That's right; that's the early Tom Hanks movie. 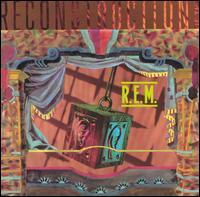 But it does have an entertaining party time beat without sacrificing R.E.M. 's established sound and musicianship. So, that song is worth hearing, surely. “Bandwagon” is OK and fits within the R.E.M. style, but it's a bit boring. And then there's these really weird songs. “Burning Hell” is probably the most surprising of them all, which is nothing other than hair metal. Michael Stipe takes a few pisses at some of those singers, for sure, warbling and squeaking his voice in registers that they were never meant to go. But that probably-stolen riff is good, and the song is a tremendously fun one. “White Tornado” is an incredibly energetic and fun surf rocker, and they do a rather uninteresting jazz improvisation with “Rotary Ten.” ...Well, at least they're trying out new things. If you ever wanted such a thing, you can also hear R.E.M. profess their love to The Velvet Underground three times. The first time is a very different sounding cover of “There She Goes Again,” which is a genuine joy to hear them doing. But “Pale Blue Eyes” is just boring and I don't know why Stipe keeps on singing annoyingly wrong notes on “Femme Fatale.” For the most part, they weren't too concerned with how these things actually sounded. But, sure, they should be able to just take recording music lightly occasionally. The weirdest cover is of Aerosmith's Toys in the Attic. ...Yeah, what can I say? They were just having a bit of fun. The final two tracks are incredibly curious, and I'm not even sure what they're doing included in this disc. “Walter's Theme” has an OK groove, but Michael Stipe talks throughout it the whole time, very quietly, and occasionally belts out a vocal melody. ...I can't make heads nor tails of that one. “King of the Road” is a country music cover, but the band sounds like they were learning it as they were playing it. ....Er...... Thanks? So, this is hardly an essential release (except for the bonus tracks), but I would say that there is enough good material here to make it a decent buy for people who already have and love their previous albums. ...It might be far from representing R.E.M. 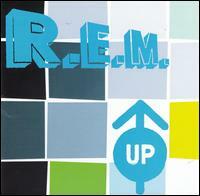 at their best, but it's still R.E.M., and that's surely worth something. R.E.M. 's big move to the big label gave them more resources and freedom to poke around in the recording studio, but I can't extinguish the feeling that they lost a little something in the process. Perhaps they were overwhelmed by their new label, or they just didn't give themselves enough time to develop the material. At any rate, Green is substandard for them. Although that just means that it’s a good album. It just has too many flaws for it to become a *great* album. It all starts off with "Pop Song 89," which was meant to be a take off on old sunshine-pop songs. These guys obviously had a soft spot for the genre, since they made a cover of one just a few years earlier in Lifes Rich Pageant. Considering they always seem offer up the melodies required by sunshine-pop, I'd like them to do this sort of song forever. It's a vibrant tune with some great, poppy instrumentation and ultra-clean guitars. All things considered, I'd say “Stand” is the most recognizable tune here… However, I say that knowing that I wasn’t listening to college radio stations back in the day. It has a very simple sort of anthemic melody that is memorable, but I don’t find the experience to be as captivating as it might have been. Much better is that song’s follow-up “World Leader Pretend.” Part of that track’s appeal is its apparent refusal to be flashy, and that recalls their Murmur days. The atmosphere of the song comes from very clean sounding guitars, and Stipe mumbles through the vocal duties. Oh yes, this is just like R.E.M. of olde! “Orange Crush” is a really notable song, and it’s definitely one of the ‘flashy’ ones. It was tailor-made for the college radio stations, and I’m sure it was a huge hit. I don’t have anything these sorts of bombastic songs (remember how much I enjoyed Public Image Ltd in the late ‘80s? 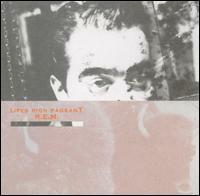 ), but I’m unconvinced at this point that R.E.M. could have been better at it. Anyway, “Orange Crush” is a good song, and you can even hear them playing around in the studio with it... In the middle, there’s some Vietnam-War-related sound effects brought in. Plus, it’s notable how utterly flooded that song is... Remember how their sound used to be so crystal clear? ... Not to say that they were bad at the uglier songs, but they were surely more unique in those days. The ending song “I Remember California” succeeds specifically because of that creepy mid-tempo groove they came up with. The atmosphere is spooky and sort of apocalyptic... Its melody isn’t much, but in this instance, I don’t care about that. So far I’ve only talked about the songs I actually loved. I merely liked “Get Up” and “Turn You Inside-Out,” both of which are sorts of straight pop-rock tunes. Naturally, this band was born with loads of instrumental talent, so they both make good listens. But I find them to be missing a certain spark that would have made them both more memorable. There are also a couple, highly unusual acoustic numbers in here. “You Are Everything” and “Hairshirt” are charming tracks featuring Stipe’s droning-like singing while a high-register guitar plays. While I do like the sound, neither of them are particularly memorable other than the general sound of them. The melodies are mostly flat. “The Wrong Child” is another track that’s basically just a texture and not really a *song*. They spent a lot of time layering all sorts of acoustic sounds in there, but they forget that they were supposed to write a good melody and compelling harmonies. So, that’s another song that’s pleasant to listen to, but still comes off as flat. 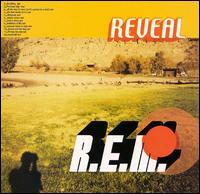 All things considered, this remains to be R.E.M. still in their golden years. The songwriting here is probably the weakest they had ever done to this point (forgiving them for Fables of the Reconstruction, because it was so odd), but it’s definitely still worth hearing. Not that this new pop music direction was completely unexpected. 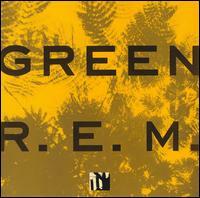 Their big move to the big label in 1988 produced Green, which contained a number of pop-like tunes. Out of Time just has more of them, and they’re much more excellent. “Radio Song” starts things off on an extremely polished and exciting note. They fool you with that one... it starts out sounding like it’s going to be a quasi-usual R.E.M. ballad with arpeggiated jangly chords, but it quickly morphs into an upbeat dance-pop song with somebody rapping in the background. (A rapper???) But the song is genuinely catchy and a terribly good piece of entertainment. “Losing My Religion” was the massive hit from the album, and it’s still big to this day. Just from the opening chords, you can immediately discover its appeal... it just has that captivating vibe from beginning to end. The chord progressions are beautiful, and the impossible-to-improve arrangements give it that utterly fine texture. Naturally, the whole thing fits in perfectly with Stipe’s unique vocal styles. Oh man, what a beauty! I’ll just go out and say it right now: That’s my favorite R.E.M. song. I know that’s an obvious choice, but I don’t care. A great song is a great song. “Near Wild Heaven” has that 1960s-ish pop vibe going with it from beginning to end. Is this R.E.M. or The Turtles?? ... Well, everybody likes The Turtles, so they would be nuts to think anything bad of that song. The melody is wonderful, and the sweet Beach Boys falsetto vocal styling at the end give it an extra sunny atmosphere. “Shiny Happy People” is an even sunnier song, and they even bring Kate Pierson, one of the sunny female singers from the B-52s, to duet with Stipe. That melody is gorgeous... Could you even hope for something nicer than that? Oh man, I think I’m getting sunburned! But this isn’t a perfect album, and in my book it doesn’t quite match the pure quality of Murmur and Lifes Rich Pageant. There are a handful of songs here that just don’t make the cut. “Low” has an interesting groove and a compelling, creepy atmosphere, but it never seems to catch fire... it just wallows, creeping around on the ground. “Endgame” is a pleasant instrumental, but it really lacked a whole lot of good ideas. “Belong” is unconventional; you’ll know it because the lyrics are quickly mumbled in a sort of monologue while Stipe and other back-up singers sing just “uuuuuuuuuh.” The background texture is quite nice, but very little about it grabs me like the other songs. Eh! The album-closer, “Me In Honey” is more interesting than the other songs mentioned in this paragraph; its overly repetitive nature draws comparison with The Velvet Underground. However, that song does manage to get on my nerves a bit. Just a little. Some old-time R.E.M. fans who might have lamented at their new, poppier direction would be glad to hear “Half the World Away,” which adopts a cloudy atmosphere. It also has some nice Celtic overtones and Stipe’s mumbly vocals remind me of that old world-weary sailor I remember hearing from the earlier albums. “Texarkana” is a song that you can dance to, but you can also hear those familiar jangly guitar, and Stipe’s tuneful mumbles can be heard rather deep into the mix. The important thing is this was a complete improvement from Green in almost every facet. The pop-songwriting is cleaner and catchier than that album, and their more ambitious songs comes off better as a whole. This 12 I gave it was nearly a 13, so the rift between these two albums is much bigger than it might appear. 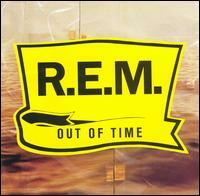 Out of Time won a few Grammies when it was released, and it’s what turned R.E.M. into the huuuuuuge stars that they became. And all I can say is the notoriety was completely deserved. 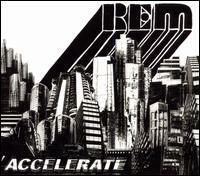 This is often hailed as R.E.M.’s greatest masterpiece, but I don’t see this as any better than their previous album, Out of Time, and it’s still a far cry away from two particular albums in their back catalogue that I’ve been known to like quite a lot. But Automatic For The People remains to be a very good album, and it earns a place in their Top Five for sure! Just like Out of Time, it represents these guys right in the middle of their commercial peaks, so fans who followed them around in their early days were probably still feeling a bit betrayed by this... Yeah, even I miss their early sound, but how could I dislike an album that contains so many good melodies? And what melodies these are! This is the album with “Man on the Moon” and “Everybody Hurts” in it, and that’s probably enough to sell the album to most people. Let’s talk a little more about “Man on the Moon.” The overall mood is rather drab, but there’s certain warmness to it all. It’s this aspect that makes it so endearing to me! Plus, R.E.M. revisit those jangly guitar textures, which I’m sure we all missed, and Stipe’s mumbles are back with their power fully restored. While that song might have been more appropriate of them, “Everybody Hurts” very well could have been on the adult contemporary radio. If it wasn’t for the fact that Stipe has such a distinctive voice, Celiene Dion could have sung it and I might not have blinked twice. (Except it’d be surreal, I guess, hearing her sing something decent.) This is also a wonderful little song, and its ultra polished production was completely nailed. It is quite a sleek song. But this album has plenty of good songs other than those two! “The Slidewinder Sleeps Tonite” is a particularly entertaining track with a riff that’s particularly enchanting. “Ignoreland” is a terribly fun song that sound like it’s right out of an ‘80s album; it has a new wave groove and a calculator bass can be heard predominantly. “Drive,” the album opener, is a captivating tune though it’s very dark and moody, and, as other reviewers have pointed out, it’s rather a lot like classic Pink Floyd. 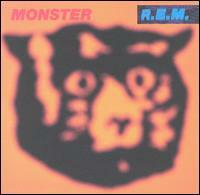 “Monty Got a Raw Deal” uses minor-key, English folk chord progressions, which I always like to hear R.E.M. do because Stipe’s voice has that uncanny ability to sound like a crusty old sailor! “Find Me a River” is a decent if unspectacular ending, but that accordion loop that plays throughout is just about the most beautiful thing here. (Yeah, how can just one line of accordion accomplish such a thing?) “Try Not to Breathe” is a nicely atmospheric though similarly unspectacular track although R.E.M. are sounding more like themselves there. The only track that nearly becomes *bad* would be “New Orleans Instrumental No. 1.” It’s only two minutes long, so it doesn’t do any harm, but they only play two chords and it’s really messy. There’s no point to it, as far as I can tell. 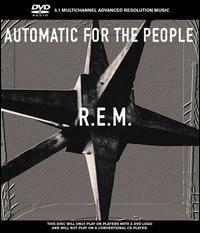 Automatic For the People might have the reputation of being R.E.M.’s best album, but the only real reason many people say that is because it sold the most units! (Of course, there are probably people who genuinely believe that after hearing all their albums... and I can see how that would be.) But I still don’t like this as much as Out of Time. “Man on the Moon” doesn’t adequately replace “Losing My Religion” ... And, frankly, I prefer that album’s shiny disposition over Automatic’s depression. Plus, I think that one had slightly better songs, overall. After R.E.M.’s biggest album of their career, Automatic For the People, they probably realized that they couldn’t create another album like that if they tried. So they didn’t try. Instead, they decided in an abrupt change of direction. Do you remember how R.E.M. albums are usually meticulously crafted with great lengths taken to create either thick, intricate atmospheres or crystal clear production? Yeah... Monster is a complete reversal to that. Here is R.E.M. trying to go grunge. That’s right, grunge. Murky guitar sounds, feedback noise, heavy drums ... that’s right. I suppose Mr. Mumbles was supposed to try to cope with this new sound since he’s pretty much incapable of screaming. Er... he didn’t cope with it. In fact, he sings falsetto in a number of spots, which really suggests he had no idea what he was doing. Man, this is one screwed up album. They begin it with what might have been a perfectly good R.E.M. song. It had a catchy riff, good melody, bouncy rhythm and playful lead vocals. .......But some dork plays a terribly cheap sounding guitar over it, drowning it. I’m not kidding when I say that sounds like some kid was listening to an R.E.M. song while they were practicing their guitar. It’s pretty pathetic. “Crush the Eyeliner” also would have been a perfectly nice R.E.M. song (not as nice as the previous song though), but they put a pulsating guitar over the top of it.... But at least this guitar doesn’t sound incredibly stupid. It was still stupid, though. By the third track, when “King of Comedy” pops up, I breathe a sigh of relief. There is no way that would have made a good R.E.M. song. It would have a comfortable home on Iggy Pop’s Blah-Blah-Blah, which isn’t exactly a compliment or anything. It’s not a very good song or anything ... it’s a monotonous droning thing that never changes tone. But at least it seems appropriate for the heavy instrumentals they give it. “Star 69” is more of an actual grunge song with ugly guitars shredding throughout. That’s not a particularly good song either, but there’s a pretty cool echo effect that Stipe does to his voice. “Strange Currencies” was a perfectly good “Everybody Hurts” clone until they put in all those icky guitar tones. ...But at least that song has a melody. “Bang and Blame” is the only ‘authentic’ punk or grunge song that they do even remotely successfully. Although half of it is a lighthearted groove that might have more in common with new wave, that guitar ridden chorus was actually mixed well (except there’s more pointless feedback than I’d care for), and their chords are well chosen ones. My major complaint about it is the running length; it goes about two minutes longer than it should. As nice as that song was, they completely make me lose faith in mankind once “Let Me In” pipes up, which devalues every vibrating air molecule as its unholy sound radiates from my speakers. To give you an idea of how bad it is ... Monster was an enormously bad idea for R.E.M., and “Let Me In” was an enormously bad idea for Monster. That’s the sort of muck we’re wallowing in now. This song consists of a super fuzzy guitar wonking around while Michael Stipe sings a vocal melody that only barely acknowledges the guitar. There are no drums; there’s just a tambourine that you can barely hear. Oh god. Could R.E.M. slip any lower? “Tounge” is a pretty retarded song, but it seems like a godsend when it’s placed next to “Let Me In.” A clumsy piano and organ play while Stipe sings falsetto. He sounds like an idiot, but at least they’re sparing me these stupid guitar tones. One song where they’re not sparing us the stupid guitar tones is “Circus Envy.” Yeah, the song is just a half-witted Kinks’ “You Really Got Me” clone, but it would have been tolerable .... had there not been this ultra-distorted guitar playing a long-drawn-out note for NO REASON. Man, these guys had no freaking clue, did they? In conclusion, whoever’s idea it was for R.E.M. to do this crap, they’re right up there with the guy who thought the microwave hand dryer was a good idea. I wouldn’t want R.E.M. to stick to a formula or anything, but there are certain things they just shouldn’t do. They’ve always been a rather tight and neat group ... and the old dogs trying to make something grungy only made them look ridiculous. They realized correctly that Monster had mostly been a mistake, but they didn’t want to completely abandon that idea. So, they came up with this follow-up, which is more of a low-key album that was closer to their original sound with the occasional guitar-heavy part. The result is a much better album that’s actually somewhat likable. Unfortunately, New Adventures in Hi-Fi comes with problems on its own. First of all, it’s too long. It’s not obscenely long like some CD-age albums tend to be, but doing some trimming to it would have turned the album into a more satisfying experience. That said, there is only one track that I would have cut. It is the rather pointless “Zither,” which reminds me, for some reason, of a slow, dreary old surf instrumental. It’s not bad, but it’s also not good. Since this album had the potential to be “excellent,” “Zither” is nothing but a drag on it. Give ‘er the axe! Most of the album’s length woes come with the individual songs, which really should have been cut down in length. Songs like “The Wake-Up Bomb,” “Be Mine,” and “Undertow” go on past five minutes when they didn’t have much excuse for going past three. Even one of the good ones, “Leave,” has a massive seven-minute running length. Even though it has a beautifully melancholic atmosphere and represents excellent songwriting at its core, it still has a dumb orchestral introduction and a really clumsily executed coda. There was a much better four-minute song lurking somewhere in there. The other problem was just the way the album was recorded. They were said to have been inspired by Neil Young’s Time Fades Away for this release, which would explain why they decided to record this material live. But unlike Neil, they didn’t record it in front of an actual audience. They did it in various points throughout their Monster tour. If you look on the Wikipedia entry on this page, you can see the many places around the U.S.A. where they recorded. The venues were so widely diverse that they even all four corners covered; they ranged from Orlando to Seattle and from Phoenix to Boston. Cool. I don’t have anything against recording live --- it certainly helped Neil’s albums come to life --- but that idea didn’t exactly play to their strengths. As I said repeatedly throughout my Monster review, their strengths were their delicate, intricate arrangements. Live recordings just don’t give them that opportunity. Without a doubt, the coolest song of the album is the low-key and beautiful “How the West Was Won and Where it Got Us,” which is notable for its supreme lounge piano. In the verses, the piano helps create that morose atmosphere, and the nutty way they find to play it in the interlude sounds as though they were channeling Aladdin Sane. It’s also nice to hear Michael “Mumbly Man” Stipe sing like he’s supposed to again. “Bittersweet Me” marks an excellent return to their more upbeat, poppy songs from the days of yore. The beat is bouncy and the harmonies are well developed. Helping it land a home run is the catchy Michael Stipe delivers on a silver platter of his mumbles! “Departure” is a rather excellent song even though it’s one of their grungy ones. The riff isn’t too complicated (consisting of just two chords), but I suppose they don’t have to be if it’s as riveting as that. The guitars do sound a little tinny for my taste, but at least they’re not threatening to murder my ear drums like they did frequently on Monster! 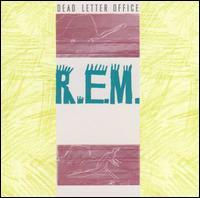 Plus, Michael Stipe does something novel with his vocals; he speaks the verses instead of sings them up until the chorus. It’s not something he should do often, but it turned out to have an interesting effect there. “So Fast, So Numb” is also a guitar-heavy song, but it’s catchy! Stipe’s vocals are interesting here, again, but only because he sounds like he had a cold. And then there’s a lesser but the captivating quasi-piano-pop “Electrolite” that closes out the album on a bit of a drone. But at least it’s a captivating drone! 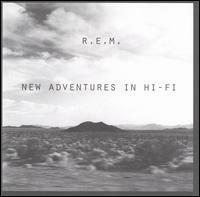 Despite its rather debilitating flaws, New Adventures in Hi-Fi is an altogether decent R.E.M. album. It comes nowhere close to matching the best of their classic albums... although an edited version of this could potentially have bested Green and Document. 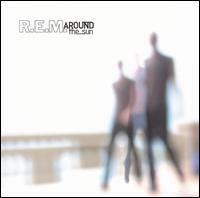 On a sad note, this is also the final album that Bill Berry had apart of. (He retired the music biz to become a farmer... like Green Acres except he was a rock star.) This of course meant that there would be no way for R.E.M. to record albums like they used to. Ah well. As I stated in my previous R.E.M. review, this is where the group lost a very valuable member, the drummer Bill “Freaky Unibrow” Berry. He wasn't just a drummer, but he played an integral role in the songwriting and the overall feel of the group. So with him gone, the group changed to a more low-key band that tries to concentrate more on moods and atmospheres. In a way, this sounds something like a more low-key and depressing version of The Beach Boys' Pet Sounds except without the mesmerizing harmonies. I like that Up is a well-produced album, which their previous two albums lacked, but I'm just not impressed with the songwriting. It has its ups and downs, but this album ultimately has me yawning. But, as I said, it has its ups and downs, so let's start with the ups. “At My Most Beautiful” is a heavenly piano ballad! I know I compared the entirety of this album to Pet Sounds, but this is the only place where that's incredibly obvious. The verses aren't much to speak of, but when they bring in those vocal layers, it's an incredible bittersweet moment. “Lotus” is a really good song, too, and it definitely helps that it's one of the album's more upbeat tracks. Though I won't claim that I care much for Stipe's rather obnoxious yelps of “Hey! Hey!” at the beginning... but that's nitpicking. The song's electric piano riff is solid, and they work in a very catchy chorus. Also a good song is “Why Not Smile,” which could possibly be the moodiest track of them all, but that's where the idea is actually done well. It starts out with a hypnotizing, minimalist texture with a light tubular bell sounds, but very gradually other instruments come and build on that. That's a great way to keep such songs sounding fresh... even if they're not introducing a chorus or even changing the chord progression at all. “The Apologist” also exhibits some good songwriting although the dreariness of it has a bad effect on me ... but at least that old world-weary melody they come up with has its good qualities. The rest of the songs range from good to boring. I can't say I care for the album opener “Airportman” an incredibly dreary thing with all sorts of lite distortion sound effects playing in the background while Stipe mumbles as though he had run out of breath. No matter how many times I listen to it, I just can't convince myself that it's anything other than an unpleasant experience. “Suspicion,” on the other hand, is much more tolerable. The drum beat has more body to it, and they work in a rather pretty and memorable chorus. “Hope” is also good, this one experimenting a bit with some Kraftwerk-esque electronica grooves. The loop that plays throughout is done with some rather ugly guitars and the melody isn't too interesting, but the end effect is a song that piques my interest. “Sad Professor” is also a boring song, but more concentration on the acoustic guitars is a definite plus. “Walk Unafraid” has a few nice hooks in it, and I like the more fast-paced gallop that it turns into. “Day Sleeper” is the sort of song that I sit around and wait for it to do something spectacular... As it intermittently switches back and forth between a sweet acoustic part and a heavier chorus, I can't help but feel that it's only stagnating. In the track reviews, I identified the last two tracks as the worst Up had to offer. Both of them are surely passable and part of the reason for the lower grade is probably because I got so fed up with the constant gray moods... But then again, those are uninteresting songs. Even as I'm listening to them right now with a more “fresh” perspective. Geez....... this album's diversity is ultra sucky. I don't really like Up, though I understand that it has its fans. If you respond well to depressing, moody stuff then it's worth checking out. Even I think it's pretty darn good in spots. So there you go. This marks an improvement over Up, but not much. The instrumentation and atmospheres have surely been improved, and I think the overall melodies and harmonies are a little better here. Despite that Reveal suffers from the same downfalls that took down Up. Namely, its frequently insufferable dreariness. This “dreariness” mentality was something I'd imagine R.E.M. picked up from the indie-rock and shoegazers, which were becoming popular at the turn of the century. Considering that their lead singer has mumbling and soothing vocal chords, this was an appropriate direction for them to take (at least it was more appropriate than that grunge stuff they had been doing). Nonetheless, it just didn't seem to produce wholly enjoyable albums for them! The more intricate nature of the arrangements from Reveal seems, to me anyway, to have been a direct response to the incredible work The Flaming Lips did on The Soft Bulletin. Of course, what makes The Flaming Lips albums so compelling is not so much the arrangements, but the songwriting. R.E.M. 's songwriting powers were woefully scatter-shot. A dreary song without good songwriting is, well, dreary. At least half of these songs are dead boring. But first, I shall highlight the good songs! The album begins on a good note. “The Lifting” is a magnificent opening; its orchestration is so utterly intricate and powerful that it surely rivals Soft Bulletin arrangements. (Nobody can make a comparison like that lightly.) The flooded synthesizers were all well-chosen, and they support a mightily complicated texture that's utterly wonderful to hear. Keeping it punchy is not just that well-conceived drum rhythm! The melody itself isn't anything too special, but it's strong enough to keep the experience relatively exciting. Even better is the third track, “Reno,” a mid-tempo song that seems to recall their Automatic For the People Days. Of course the instrumentation is more intricate than it would have been on that album (and not necessarily for the better), but the melody is catchy and Stipe's vocal performance is very engaging. “Disappear” is reminiscent of those murky old sea-shanties that this group had recorded at intermittent times in their back catalogue. As usual, Stipe's world-weary vocals match the perfect tones to this sort of song. I still feel that song is a bit over-orchestrated, but I do adore those wobbly string sounds. “All I Want” is a gorgeous sound that strongly conjures memories of The Beach Boys' Pet Sounds, which means it's similar to “At My Most Beautiful” from Up. This isn't quite as captivating, but it's still good. The nice harmonies combined with the melancholy vocal melody and the organic instrumentation merge together to create a wonderful experience! “Imitation of Life” is also a spectacular piece of sunshine-pop. This seems like a blatant attempt at recreating the immense success they had with “Pop Song 89” and “Superman,” but I can listen to those sorts of songs until the end of time. This album was fairly close to getting a 10 rating, but I have to keep in mind that songs like “Saturn Return” and “Chorus & the Ring” exists. Both have very uninteresting harmonies and sleep-inducing melodies. They also mark the moments when their turn toward deary, busy instrumentation get the better of them. “Saturn Return” has a curiously misfired rhythm section that sounds like a dishwasher is malfunctioning. “Chorus & the Ring” has a better atmosphere (although that squeaky bagpipe-like synthesizer ends up getting on my nerves). But the problem with it is they don't change the tone at all throughout the song, which ends up just accenting the boringness of it. Stipe's vocals are so underwhelming that I can imagine he was literally in the process of falling asleep. “Summer Turns to High” features somewhat interesting arrangements... The ethereal texture is intriguing as it starts up. But my interest in the song is limited, again, by their unwillingness to develop the song beyond that samey texture, and a choppy vocal melody that's less sophisticated than an average nursery rhyme. The last song I'll mention here is “Beach Ball,” which unfortunately does a poor job closing the album. I do like hearing the saxophones there, but that's about it. I can't hear Michael Stipe's vocals at all over this too-flooded mix, and the melody is utterly yawn-inducing. Eeeeeeeeeeeeeeeeghaaah! While Reveal marks a slight improvement over Up, it still suffers from much of the same problems. I like that their arrangements are a little more intricate, but they lack the inspiration to make such an album actually successful. Nonetheless, Reveal has its moments. Even though I didn't think much of Up or Reveal, I can't help but feel woefully saddened by the turn-for-the-worse R.E.M. experienced with Around the Sun. It's such a disappointment! Up and Reveal at least had those freaky arrangements going for them... True, I might not have been greatly impressed with them, but they were unique and gave the songs a certain edge. Here, they cleaned up those arrangements to create an album that sounds a lot like their Automatic For the People days. In theory I should like that they decided to go back in that time-tested old formula.......... but their very weak songwriting keeps them far short of achieving anything remotely close to that album. A good pop hook is a very scarce commodity in Around the Sun. This album is so bland that it ends up driving me nuts by the time it hits the end. And it's a 55-minute album, so it takes awhile. The album starts decently enough at least. “Leaving New York,” the opening song, is a ballad with a nice, twinkly atmosphere that sounds well-mixed with the vocals. The melody is even formidable (especially the chorus), but it surely could have been stronger. As with most of these songs, the instrumentation is usually well-mixed and squeaky clean, but the melody is so stale that the whole experience either grows dull or utterly tedious. Luckily “Leaving New York” is one of the better ones. “Electron Blue,” however, has very little that keeps it interesting. The creepy atmosphere has something nice going, again, without feeling as over-cooked as the arrangements frequently seemed on Reveal. But Michael Stipe's vocal melody is so incredibly boring that the whole experience really grows mind-numbing. Blah. When I say “The Outsiders” is the best song of the album, you know something is messed up. The reason that's a quizzical choice for my favorite track is because it contains a really terrrrrrrrrrrrrrible guest-rapper at the end of the song. God, I hate rap music to begin with, but this guy doesn't do anything remotely inspired and turns out to be quite cheesy. He'd might as well be rapping by himself to himself, because I don't get anything out of listening to it. What I like about the song is the rest of it. Amazingly, it doesn't do anything particularly amazing... It's just a mid-tempo tune. But the drum beat is nice 'n' steady, and those synthesizer pads they use in the background aren't too intrusive. The melody is even OK, or at least I like the bouncy way Stipe rolls off those lyrics. It's such an adequate song (apart from the final third) that I couldn't help but like it compared to the other stuff in this album. “Final Straw” is a throwback to protest folk music from the '50s and '60s, as the busy acoustic guitar strumming throughout and that hopelessly bland melody reminds me of those uninspired Joan Baez albums from the era. It was written to protest the Iraq War in hopes that it would inspire the people to oust the prez out of office. Well, I think we all know how that turned out! Even if the general public did care about what R.E.M. thought about current affairs, they would have to accompany their message with a catchier melody, because “Final Straw” is more boring than watching Barbara Boxer raising issues on CSPAN. Dude. That's pretty sad. And then there's “I Wanted to Be Wrong,” a slow and dreary piece of plastic that makes everything else seem like Led Zeppelin. WOW, even compared to “Final Straw,” it's a TON more boring. Michael Stipe's mumbly vocals have never sounded this tired. Geez. Even worse than that is “The Ascent of Man,” which is not only boring but utterly annoying. I generally adore Michael Stipe's vocals, but I swear if he bellows “yeah, yeah, yeah, yeah!” like that in another one of his songs, I'm going to go postal in a field of dandelions. Dang it. If that isn't the worst song that R.E.M. ever recorded, then there's something I haven't heard. A trio of songs in the middle of the album are quite adequate. “Wanderlust” is another nice attempt at sunshine-pop even though it's the least inspired one they've ever done mostly because the melody is seriously lacking. “Boy in the Well” is a gray acoustic ballad has some nice harmonies. I could imagine it being devastating in other circumstances if they worked on it more, but the sluggish treatment of the vocal melody and the samey instrumentation really bog it down. “Aftermath” is a rather nice, bright song with a shuffly pace, but it also fails to leave much of an impression. Geez, and that's easily one of the highlights of the albums. Blah!!!! Funny things happen when you don't try so hard. Look at what happened to R.E.M.. They decided to not try too hard before writing and recording material for their 2008 album, and behold it's nothing like the bloated albums they had been releasing for the last 20 years. (More importantly, it's nothing like those dreadful, dreary albums of the last 10 years either.) Indeed, Accelerate restores my faith in this group in full, and makes me realize that it is possible for these old farts to recapture some of their former glory. It's been quite awhile since they released such a collection of catchy tunes and high spirits. The album is also succinct, only 35 minutes, and these songs have that magical tendency to be just the right length. Beautiful! This album is everything Monster pretended to be. Never before has R.E.M. rocked out this mightily! I even detect that same sloppy guitar sound (that I complained sounded like some sort of Fisher Price electric guitar) strewn throughout. But, unlike Monster they are actually mixed well and seem like they belong. And, wow, most of these songs are just fun to hear. It's been waaaaaaaaaay too long since R.E.M. released an album that's this enjoyable. Here's the equation: good riffs + good bass + good melodies + punchy drums + a confident Michael Stipe - bloated arrangements = EXCELLENCE! It begins with a ditty called “Living Well is the Best Revenge.” The best thing about it is it tries to be nothing more than a ditty. The guitars are loud, the drum beat is steady, and the bass is powerful and danceable. Michael Stipe sings with as much exuberance as you would expect him to in his younger days. Three minutes was the perfect length for it too... it pulls out before it has a chance to become monotonous. Granted, the whole thing isn't terribly original, but who cares? I only wish they sounded more like this for the last few albums. That was good, but it doesn't get better than “Man-Sized Wreath” with a chorus that's so heavenly that it surely ranks among the best they've ever done (and that's really saying something). Furthermore, it sounds as brassy and highly energetic as the last song, so you can expect this to be an especially good time! “Supernatural Superserious” is a little more of a laid-back rocker, but it's a rocker all the same, and Stipe manages to find a compelling vocal melody. Man, those fuzzy guitar tones sound so appealing and yet edgy. Imagine that! The fourth track begins as an acoustic-led ballad, but it has a more electrified chorus. The transition between these two sections seems a little too sudden ... I'd rather this song either just stick to being a ballad or a heavier rock song. Meh. And there's very little compelling about the melody. At least they had the good sense to not let it go past three minutes. The next song is “Houston,” which exhibits coolness in each one of its breaths. I suppose I might be alone in my adoration for that song --- really, it's just that blaring two-note organ riff that I'm in love with. But I don't care. That organ is cool, and I could listen to it for a long time. If “Houston” was cool, then the title track is Elvis. It's a completely brilliant fast-paced rocker with a droning though driving rhythm, and a nicely done vocal melody! The melody might not be as memorable as that of “Man-Sized Wreath,” but it's that droning riff that I'm paying attention to. Classy. Things slow down a little bit by the seventh track, an acoustic ballad called “Until the Day is Done.” It should be noted that that's the first and only time a full ballad appears, and it probably came a little too late. While I appreciate its presence, I think they could have come up with a more melodic and captivating one than that. After that, they immediately return to the harder rocking songs with the bold, guitar-heavy “Mr. Richards,” which has a nice melody. I don't really have anything else to say about that. “Sing for the Submarine” is easily the longest song of the album, and it took me awhile to actually appreciate it. It has a very gray vibe to it, which was common attribute in most of their classic songs, and the melody isn't immediately accessible. But there's just something likable about it. The chorus is surely nice with those intriguing wobbly back-up vocals, and Michael Stipe's lead is as confident as ever. The guitar textures are complex and appealingly mixed, and the drums are very loud and punchy. It's the sort of dense, weary song that seems best listened-to on a rainy day. They wait until the last two tracks to introduce the 'punk' songs. I don't care much for “Horse to Water,” which has a squeaky guitar tone that I'm not wild about. But “I'm Gonna DJ” is a terrifically energetic song that so closely recalls early '80s punk that it makes me wonder if they didn't regret, a little bit, that they didn't try out that genre more in that era. There, the guitars are extra fuzzy, the bass is menacing, and the drums are loud! Stipe sings with some bounce, and he appears to be having the time of his life. That's good, 'cos so am I! I'm going to stop short of calling Accelerate one of the best albums they've ever released simply because the songwriting isn't as supernaturally solid as many of their others. This album also doesn't exhibit a whole lot of originality, but that's almost a non-issue for me at this stage in their careers. Nonetheless, Accelerate is easily their best album since Automatic For the People, and probably their most enjoyable since Out of Time. This makes me so happy that I could cry. Welcome back, fellas!! !